3 1/2 x 12 1/2 x 9 1/4 in. 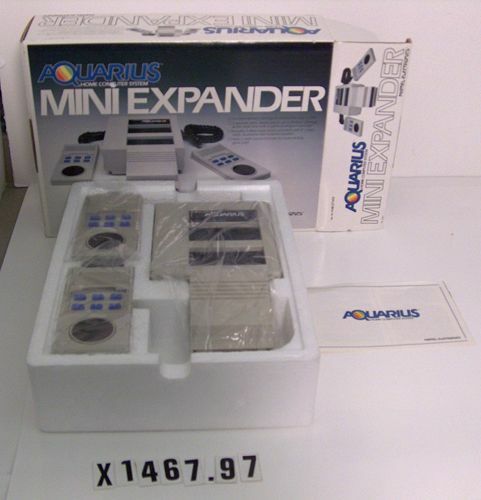 Expansion module for Aquarius personal computer. Unit allows: memory expansion to 20KB; extra game cartridge port; 2 hand controllers; 2 additional sound channels.